Born Giovanni Battista Lulli, a miller's son from Florence, Lully grew up with no significant connections with music. At the age of 14 he was hired by Roger de Loraine (Chevalier de Guise) to go to Paris and help his niece, Mile de Montpensier, practise Italian. In her employment at the Tuileries Court for six years, Lully gained access to balls and court entertainments, building up a knowledge of the dances and themes of the time that became the models for his early works. He also studied various musical instruments, developed his dancing, and was coached in composition. Mile de Montpensier was exiled when Lully was 20, but the young composer retained his circle of contacts in Paris, to the extent that early in 1 653 he was dancing with the 14-year-old King Louis XIV m a ballet. They were clearly dancing in step; by March Lully was appointed Com-positeur de la Musique Instmmentale dn Roi, responsible for music in court ballets. He became known for his dancing, compositions, conducting, and comic abilities. In 1661 he started describing himself as "Jean-Baptiste de Lully, esquire, son of Laurent de Lully, Florentine gentleman." Once granted naturalization, he married Madeleine Lambert, daughter of the King's master of chamber music. The marriage contract was signed by Louis XIV. From 1664 Lully collaborated with the great comic dramatist Moliere. Together they created a series of comedy-ballets, including Le bourgeois gentilhomme, in which Lully turned to good account his years of observing dance and theatre at the court. Lully and Moliere parted company after Le bourgeois gentilhomme, and in 1673 Lully wrote the first of his tragedies lyriques. These featured continuous music, arias, recitative, and choruses, and dominated French opera until the mid-eighteenth century. 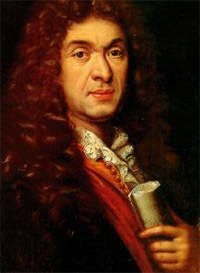 The librettist for this first venture, Cadmus et Hermione, was Philippe Quinault, who became Lully's regular collaborator and author of the text of their most famous work, Armide. Particularly-significant m the latter opera is its attention to development of character and the attempt to form a psychological portrait of the mam character, Armide. Other collaborations between Quinault and Lully included Alcestc (1674) and Atys (1676). Lully had already obtained, through royal decree, a monopoly on music performance in Paris; after Moliere's death the King granted him the playwright's old theatre, the Palais Royal, free of charges. He was also granted a number of patents giving him yet more control over French stage performances - any non-Lully production had to limit its musicians to a maximum of just eight players, including the singers. Lully's position of power was the cause of much ill-will against him, but this did not prevent his promotion to the noble rank of Secretaire du Roi. By the time he died, Lully owned five big houses, his humble beginnings long forgotten. Ironically for so exalted a figure, he suffered a somewhat ignominious end. The celebration of love and courtly behaviour in Lully's works ensured that he pleased the right people; but he was also responsible for some substantial musical achievements. 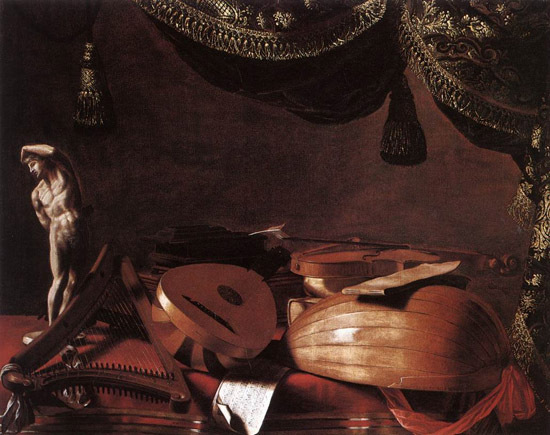 Lully absorbed elements of both Italian and French styles, and through his annual productions with Quinault became the leading French theatrical composer of the seventeenth century.